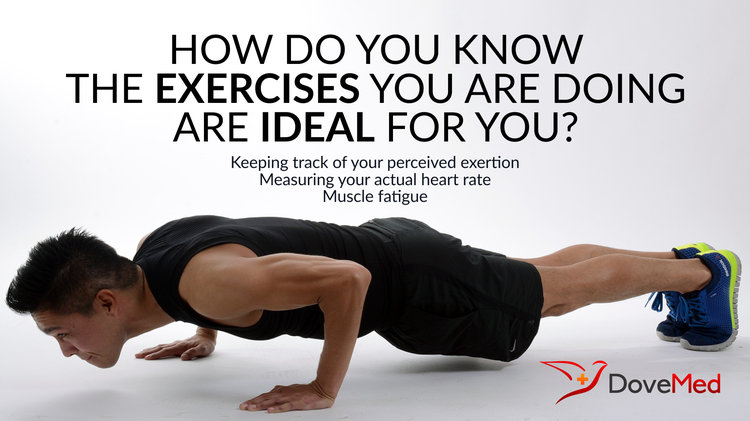 How Do You Know The Exercises You Are Doing Are Ideal For You? Many people go to the gym dutifully and regularly, but many end-up hardly making any progress on the targets they set. Many people go to the gym dutifully and regularly, but many end-up hardly making any progress on the targets they set. Most of us are unable to see any result when it comes to weight loss or getting into shape, and lose faith in the workout. It may be so that the exercises you are performing are not best-suited for you! According to the American Council on Exercises, the rate of perceived exertion is measured “by the use of 0-to-10 chart rate the feeling caused by our exertion”. The rate you assign to your level of exertion is independent of pace and the type of workout. Increasing the pace or adding slope to your workout can help you rate your workout intensity on a scale of 1 to 10. A research study published in European Journal of Applied Physiology in May 2003 conducted by Timothy P. Smith et al, suggests that for efficient weight loss, one should exert at a higher rate of perceived exertion and sweat it out regularly. By optimizing high intensity treadmill training using the running speed at maximal oxygen uptake you can increase your stamina and reduce weight easily. Another way you can know that the exercises you are doing are working for you is by monitoring your heart rate by using a heart rate monitor. This equipment will help you keep track of your heart rate at any moment in time and determine how many calories you have burned during a workout. It will also determine if you are working out within the appropriate heart rate zone. If you are aware of your maximum heart rate, you can make sure that you are working at the required intensity level. You can use age-based calculation that will provide an average statistical prediction of your maximum possible heart rate and determine whether your workout is ideal for you. According to the Mayo Clinic, by using the formula, 220 (for men) or 226 (for women) minus the present age, you can find out your maximum heart rate. For instance, a 26-year-old woman’s maximum heart rate would be 226-26= 200 beats per minute. By using this maximum heart rate value and keeping track of it, you can work out your maximum effort to lose weight and get in shape. Additionally, you can determine the heart zone you should be working within for maximum weight loss. Pushing your body to the point of muscle fatigue will cause accelerated muscle burn leading to weight loss. A research study published in January 2002 of Sports Medicine explains that our muscles reach maximum effort, only when they can no longer contract. By pushing hard during your workout, you will be compelled to eat healthy and low-calorie food causing weight loss. This will also help you determine if the exercise you are doing will reap any benefits or not. By taking care of these pointers, you can determine whether the workout you are doing is ideal for you. A quality intense workout will bring effectual results and you will certainly feel a difference in your personal physique. Cardinale, M. A. J. W., & Wakeling, J. (2005). Whole body vibration exercise: are vibrations good for you?. British journal of sports medicine, 39(9), 585-589.